Bigbelly's Alex Gamota (VP of ICT Division) moderated an engaging discussion around the Convergence of 5G and Smart City: How, Where, and the Role of Public Right-of-Way Infrastructure for ICT Networks. This panel session featured T-Mobile's Brandon Reed (Senior Manager, South Region Advocacy), Nokia Services' Jason Mackel (Director of Business Development), and Bigbelly's Chris Fagas (VP of Wireless Technologies). Today's growing network densification challenge poses a problem that cities and carriers alike are facing today. Growing populations plus more connected devices vying for unlimited data has led to an ever-increasing bandwidth deficit. According to Small Cell Forum, an expected 1+ Million Small Cells will be deployed in urban areas by 2020 to support 5G and densification. The Small Cells need to be hosted somewhere in a city... on agreed infrastructure, while delivering optimal service, without disrupting streetscape aesthetics. Network technologies to support 5G network densification need to be deployed densely, affordably, and ubiquitously through a city exactly where the people are. 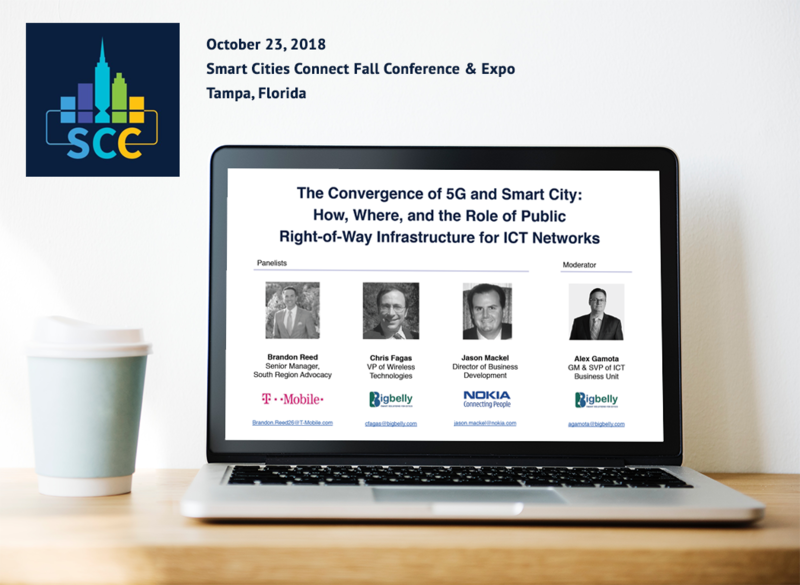 The panel conversation provided unique intersections and aligned perspectives between a top cellular network operator, a leading infrastructure and equipment provider, and global multi-purpose smart city platform. The discussion revolved around shared challenges and solutions being used among network operators, wireless carriers, and cities to bring 5G to life. "From my perspective, this is truly a unique opportunity where we can get one of the top wireless providers, as well as a major Telcom OEM and premiere smart city infrastructure provider in the same room to discuss the challenges of deploying the next evolution wireless network, in an open forum where they can openly engage municipalities on the best practices for deployment." Bigbelly is a core infrastructure already used in Smart Cities to transform public space waste management. 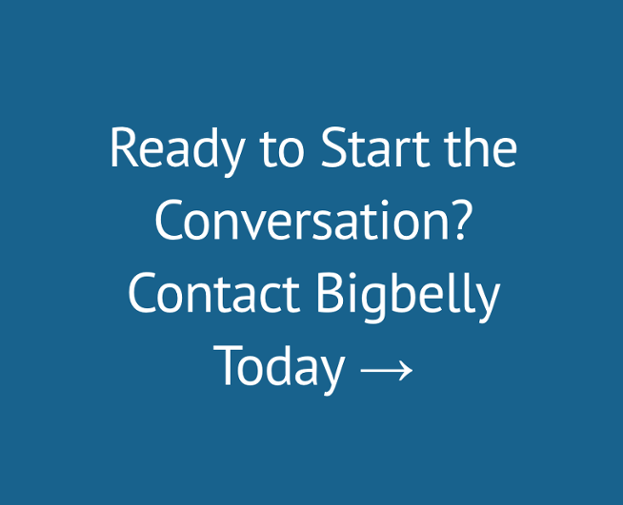 As discussed in this session, Bigbelly's platform now delivers more than just waste. Our multi-purpose smart infrastructure sits in the public right of way to provide a core city service (waste) and can do much more for the community as a hosting platform for Small Cell and other ICT technologies. Smart Cities are faced with rolling out 5G at an unprecedented pace with a heightened importance on urban experiences (aesthetics, connectivity, community, etc.). Cities are looking towards innovative solutions that are able to deliver even more with what they already have to have in the public-right-of way. If you missed our session, access the panel presentation here. Be sure to watch the video from T-Mobile discussing the 'Anatomy of a Network' as a good primer on all of the components that go into building out 5G!